On November 11, 2018 at 11:00 a. m. local time, Americans across the nation will toll bells in remembrance of those who served and sacrificed during World War I. The community is invited to join in the Bells of Peace event at the National Museum of the Marine Corps in Semper Fidelis Memorial Park. 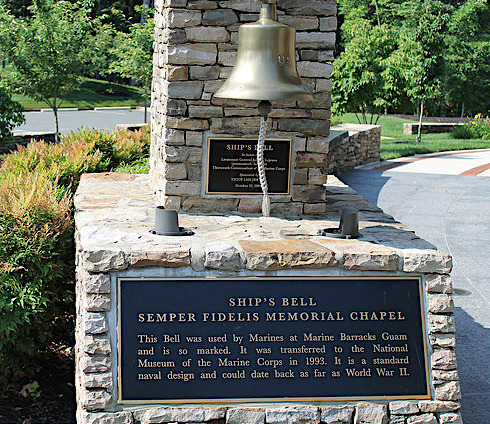 At 11:00 a. m., the Chapel bell will toll in coordination with cannon firing on Marine Corps Base Quantico. Also, inside the Museum, the Outreach Team will have a special WWI display of artifacts, uniforms and gear for visitors to see. The event marks the end of the Museum’s year-long World War I Centennial program.